If you love a great patio thats insta-worthy, wood-fired pizza and very reasonably priced cocktails, you won't be disappointed. Welcome to La Zona. The design and thought that has gone into this little secret is creative and cool without being snobbish. 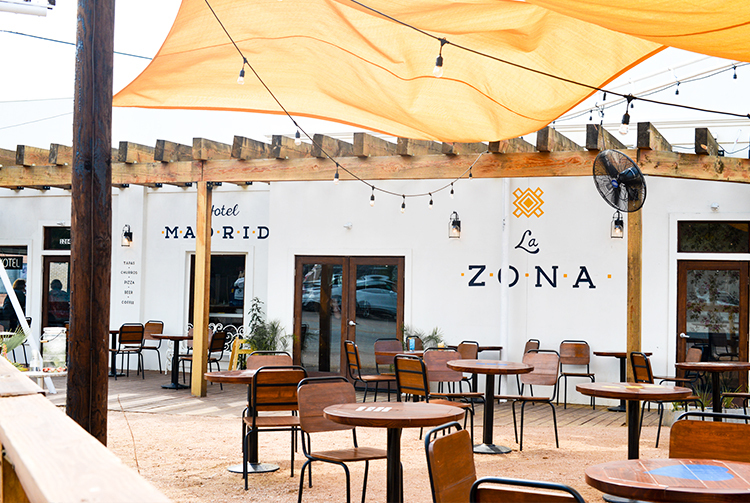 La Zona consists of two distinct venues. Hotel Madrid, occupying the main building, is the bar and restaurant. 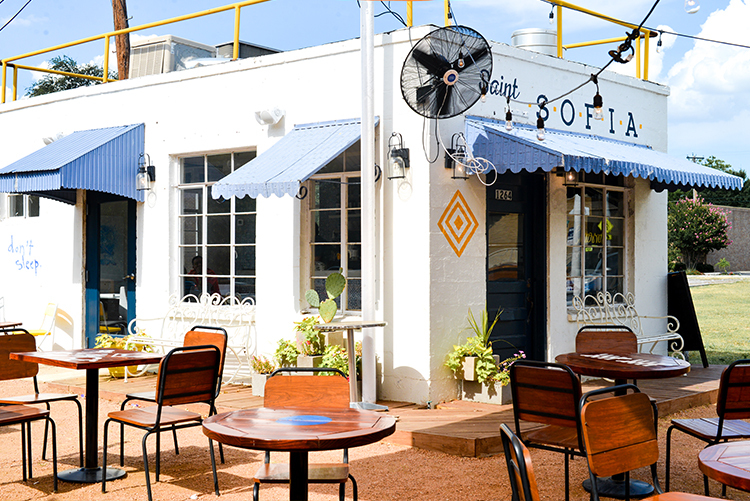 Across the small property, is accompanied by a porch and patio, is the Saint Sofia, a tiny out-building serving coffee and churros. The vibe: Think industrial ceilings married with Mexican tile and you have the interesting decor that is Hotel Madrid, which is actually the name of the restaurant. (La Zona applies to the entire experience, including a trip to Saint Sofia, the small building next door). The atmosphere inside is cozy — veering toward cute in places but welcoming and accessible. Though certain touches (like the full-wall mural of swirling pastels) seem indulgent, even excessive, I still liked it. Overall: It’s a great place to hang out and enjoy a slow coffee or a glass of wine, tapas with a friend, and watch Fort Worth pass you by.